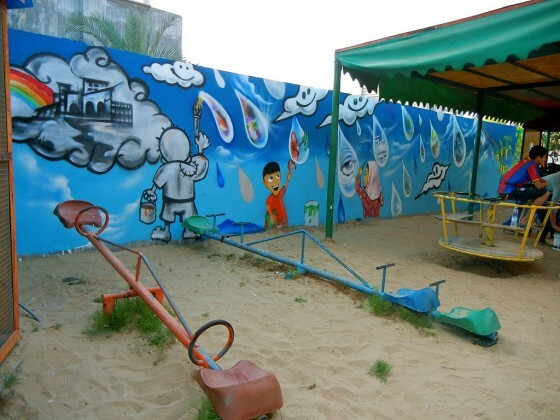 The Gaza Strip is known to indulge in political murals but water murals are definitely a new thing. 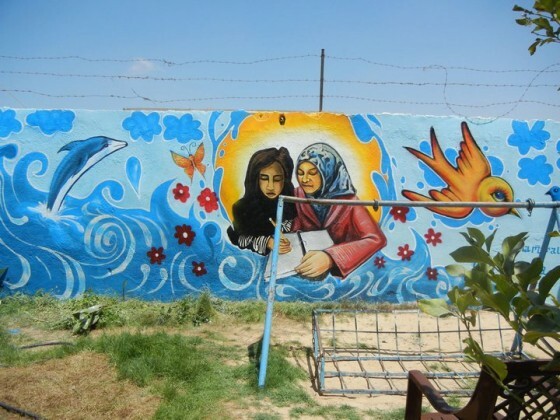 Over the summer months, US activists along with local artists, teachers and school children got together to paint 8 murals exploring the water struggles of the Gaza Strip. 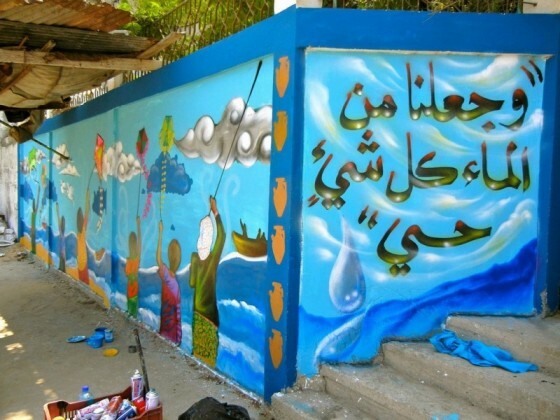 Murals were painted on the walls of elementary schools and near water desalination units in areas such as Beit Hanoun, Rafah and Bureij Camp. Artists from the Oakland-based Estria Foundation and the Olympia-Rafah Mural Project worked with local school children to decide on the themes and images that the murals would depict. Many of the children talked about their concerns about dirty water dumped into the sea where they swim and fisherman get their catch. 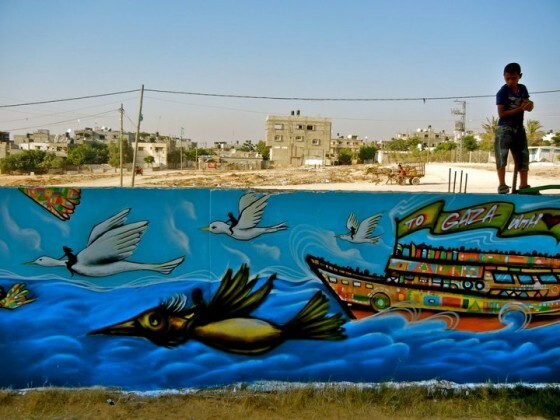 The murals, which are as large as 1,000 square feet, highlight the important role of water and the need for clean drinking water and better sewage removal in the Gaza Strip. Import restriction imposed by the Israeli government mean that Gazans are currently struggling to extend and repair their water and sewage infrastructure. 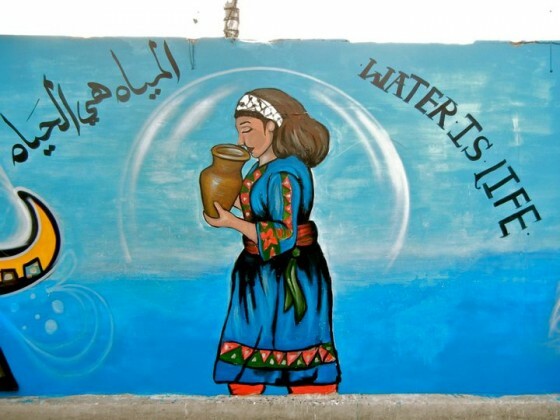 Ewash, a Gaza-based water rights advocacy group, reports a 90-95 percent water contamination rate in the region and found that the daily water consumption rate was 30% below the WHO recommended water use for health and hygiene purposes. : All water mural images via MAIA Mural Brigade/Facebook. Is a mural i wish to see myself,wat do u suggest i do.